This paper describes the methodology applicable to temporary storage in Cross Docking centers using a mathematical model. This model favors the dynamic allocation of storage places to incoming products in Cross Docking centers, reducing the costs associated with the final inventory of each of the products and the costs associated with the distances covered by each load unit. It also achieves a reduction in the time of permanence and an acceleration of the flow of products from reception to dispatch. I. F. A. Vis and K. J. Roodbergen, “Positioning of goods in a cross-docking environment,” Comput. Ind. Eng., vol. 54, no. 3, pp. 677–689, Apr. 2008. 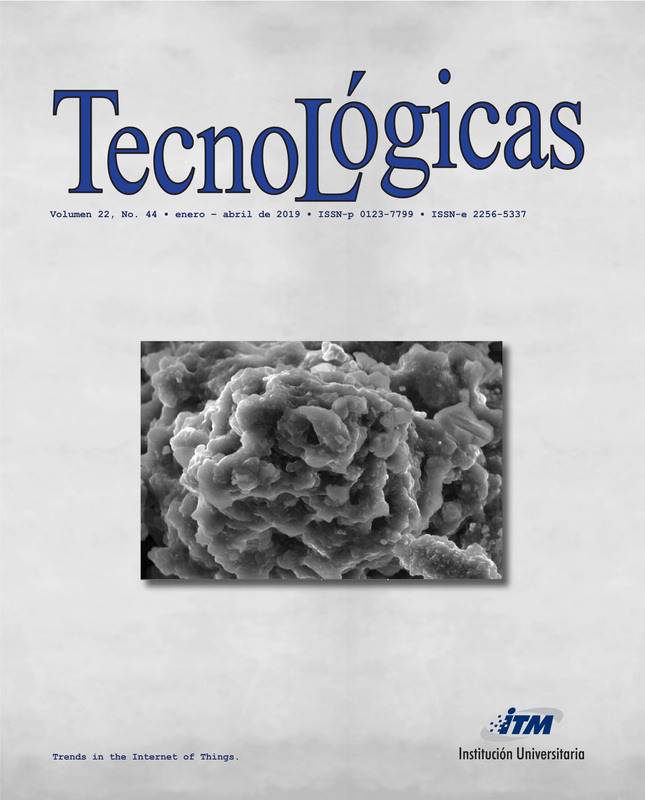 S. Quintanilla, Á. Pérez, F. Ballestín, and P. Lino, “Heuristic algorithms for a storage location assignment problem in a chaotic warehouse,” Eng. Optim., vol. 47, no. 10, pp. 1405–1422, Oct. 2015. M. Drakaki and P. Tzionas, “Modeling and performance evaluation of an agent-based warehouse dynamic resource allocation using Colored Petri Nets,” Int. J. Comput. Integr. Manuf., vol. 29, no. 7, pp. 736–753, Jul. 2016. S. M. Mousavi, R. Tavakkoli-Moghaddam, and F. Jolai, “A possibilistic programming approach for the location problem of multiple cross-docks and vehicle routing scheduling under uncertainty,” Eng. Optim., vol. 45, no. 10, pp. 1223–1249, Oct. 2013. N. Boysen and M. Fliedner, “Cross dock scheduling: Classification, literature review and research agenda,” Omega, vol. 38, no. 6, pp. 413–422, Dec. 2010. M. R. Galbreth, J. A. Hill, and S. Handley, “An investigation of the value of cross‐docking for supply chain management,” J. Bus. Logist., vol. 29, no. 1, pp. 225–239, 2011. U. M. Apte and S. Viswanathan, “Effective Cross Docking for Improving Distribution Efficiencies,” Int. J. Logist. Res. Appl., vol. 3, no. 3, pp. 291–302, Nov. 2000. C. J. Vidal, Planeación, Optimización y Administración de Cadenas de Abastecimiento, Primera Ed. Cali: Programa Editorial Universidad del Valle, 2010. N. Boysen, “Truck scheduling at zero-inventory cross docking terminals,” Comput. Oper. Res., vol. 37, no. 1, pp. 32–41, Jan. 2010. D. Agustina, C. K. M. Lee, and R. Piplani, “A Review: Mathematical Modles for Cross Docking Planning,” Int. J. Eng. Bus. Manag., vol. 2, no. 2, p. 13, Mar. 2010. A. I. Nikolopoulou, P. P. Repoussis, C. D. Tarantilis, and E. E. Zachariadis, “Moving products between location pairs: Cross-docking versus direct-shipping,” Eur. J. Oper. Res., vol. 256, no. 3, pp. 803–819, Feb. 2017. A. Hasani Goodarzi and S. H. Zegordi, “A location-routing problem for cross-docking networks: A biogeography-based optimization algorithm,” Comput. Ind. Eng., vol. 102, pp. 132–146, Dec. 2016. S. M. Mousavi and R. Tavakkoli-Moghaddam, “A hybrid simulated annealing algorithm for location and routing scheduling problems with cross-docking in the supply chain,” J. Manuf. Syst., vol. 32, no. 2, pp. 335–347, Apr. 2013. P.-Y. Yin, S.-R. Lyu, and Y.-L. Chuang, “Cooperative coevolutionary approach for integrated vehicle routing and scheduling using cross-dock buffering,” Eng. Appl. Artif. Intell., vol. 52, pp. 40–53, Jun. 2016. F. Enderer, C. Contardo, and I. Contreras, “Integrating dock-door assignment and vehicle routing with cross-docking,” Comput. Oper. Res., vol. 88, pp. 30–43, Dec. 2017. M. T. Assadi and M. Bagheri, “Scheduling trucks in a multiple-door Cross Docking system with unequal ready times,” Eur. J. Ind. Eng., vol. 10, no. 1, p. 103, 2016. W. Wisittipanich and P. Hengmeechai, “A Multi-Objective Differential Evolution for Just-In-Time Door Assignment and Truck Scheduling in Multi-door Cross Docking Problems,” Ind. Eng. Manag. Syst., vol. 14, no. 3, pp. 299–311, Sep. 2015.